super-charge your lessons, and inspire your students? This All-Access pass will not only save you money, it will teach you how to make more! GET MORE STUDENTS - You'll learn how to attract new students and get practical ideas for how to engage your current students. Especially teenagers! TECHNOLOGY 2.0 - Get ready to dive in to apps, games, and other awesome technology that you can use in your studio. 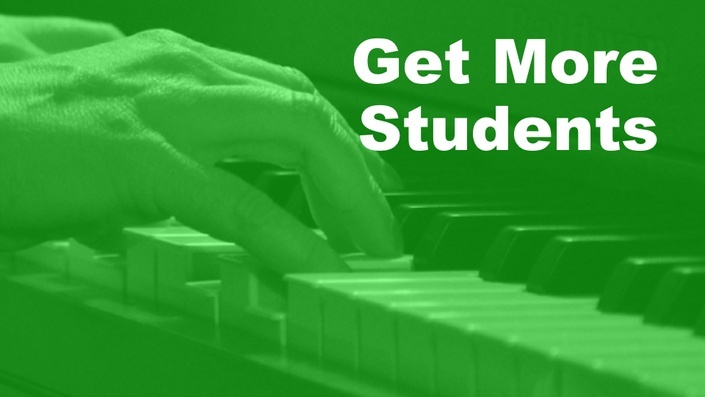 If you've ever wanted to start a music lab , this is definitely a must-have resource! GROUP LESSONS 101 - Learn about summer camps, group lessons, and marketing strategies! TEACHING ONLINE LESSONS - Skype and video lessons can eliminate 100% of your makeup lessons. And we can teach you how! super charge your teaching, and increase your income!